Off to France and have questions you need answering? Perhaps you are a seasoned traveller in France and have a lot of knowledge and experience to pass on to others. All are welcome here. This group is for anyone who is either coming to Spain or thinking about coming and would like some advice from other Motorhomers who have already had some experience. We are here to help each other. A nice friendly group of people who are touring Portugal either for summer or a long winter stay in a Motorhome, Campervan or Caravan. Information, discussion, campsites, Motorhome Parks/Aires information. 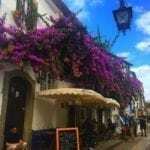 If you would like to know something or share something about ‘Touring in Portugal” – then this is the group to join. We write all posts in English, but we accept all Motorhomers from around the world to join our group. This group is dedicated to helping members find information about touring France. Selling is allowed as long as its France or Camping related stuff. Please add recommendations tips and advice as well as pictures of your trips over the channel. A group for people who love to (or want to) travel Europe in their motorhomes. 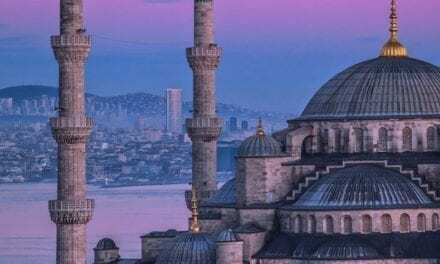 Who love to explore and experience all this beautiful world and it’s myriad cultures has to offer. A group that covers all aspects of Motorhome and Campervan travel. This group will focus on European travel and not just UK. A new group for Motorhome and Campervan enthusiasts interested in winter sports and a desire to travel and stay in their vans. The group Is to attract people who can give advice, offer tips and recommendations to those of us who want to embark on this adventure. This is a group for motorhome and snow enthusiasts. Whether you’re new to the game or old pros, you’ll hopefully find something useful or amusing here. Run by two people who have lived in a van, in winter in the Alps and just about survived to tell the tale! A new group focused on camping in the autumn, winter and other off-peak times. Whether it be tents, pods, caravans, hobbit holes etc. Please note this group is linked to the Campsite Owners Group and some owners may choose to post about autumn, winter and off-peak offers in this group. This group primarily is for motorhome owners who are single by whatever means and looking for friendship, travel companionship, love, dates and meetups with other motorhome owners on the move. Make of it what you will. There are a few rules. I started this group after coming across other people who had been widowed and found that the freedom of motorhoming has or will, play an important part in their life. In fact, it has allowed a group of strangers to become friends, to share their lives and loss with people who know how it feels. This group is for single campers, caravan and motorhomers! Where you can share your love of the open road. Share great experiences and journeys and for those with children, show them what a beautiful world we live in! Single, divorced, separated, widowed or single parent. A group for people that camp, caravan and motorhome alone. You may be married, you may be single that’s fine. This is a group for people that have a shared interest. A group of fun-loving, warm, friendly inclusive singles. A place to make friends and gather around the cyber campfire. Arrange meets and, share the joys of the great outdoors. Please, singles only ask to join. Closed group for privacy, only members can see posts in this group. A group for singles who enjoy the outdoor life of campervans to get to know each other as friends and maybe meet up along the way. A lass from the West Midlands looking for fans of the great outdoors who would like to meet others to say hi and share a breakfast buttie. Strictly buddies only – separate tents a must. This is a place for women who love to camp and want to head off into the sunset. It is a place that lets other women know where you have been and to show pictures of locations where you camp with or without children, dogs and partners. This page is dedicated to you all that are living their dream and for those of you who need to take the first steps. We are here you are not alone, we are doing it and we absolutely love it. A women-only group offering fellow travellers a free, overnight safe place to park whilst on their journeys. A Southern England events page for members of Women with Campervans. Events in Essex, Sussex, Kent, Surrey, Hampshire, Dorset, Berkshire and Somerset areas. A place to share experiences, good & bad, recommend great, safe places to stay and arrange meet-ups with other solo travellers if you so wish. A group for female campers who have a chronic illness. Please bear in mind when posting we are all sufferers with our ailments and not professionals and are only offering our opinions. Just a wee group to link all the Scottish girls with Campervan’s together … there are so many of us out there and all new links are good for help and support. A group for ladies only, who own & share a passion for caravans or camping & want to share stories of any kind, meet new friends, & just generally have a laugh or pick each other up when needed. Offer advice, recommend holidays, places to visit or where you bought a good bargain from. We are a fun, friendly bunch of ladies too. P. S. A static is a mahoosive caravan & a motorhome is a caravan with an engine & a lodge is a posh static so all welcome. Caravanning WAGs is a ladies only group where we can share our caravanning experiences, get recommendations of sites and ask for advice on all things caravanning whether you have a caravan, static, motorhome, tent or looking to join the caravanning community in the near future. An online community of motorhome owners that love to wildcamp. The main website is www.wildcamping.co.uk. General discussion re wildcamping spots on Scottish mainland and islands – most wild camp and some campsites are located in the files tab on the page. Reviews of sites where you can leave your motorhome or caravan pitched on the site and safely walk, bus or cycle to somewhere of interest. A place to swap free camping and sleepy-places by counties and abroad. Personal recommendations and reviews for Campervan & Motorhome stopovers. Helping create the freedom to go where you want, when you want. We will in time post Wildcamping Sites from around the UK and post if there are free or paying sites. Will also include Ireland/Northern Ireland and European sites. Please feel free to join and add your wild camping locations and any pictures you would like to post. Pub landlords if you have a car park with space for a camper van and would like the extra trade please contact me with your details and will post your location on our site. Any member who wishes to add to any sites to stay wild or on camping sites please post with any details you have and we will add them to our files. If your heading off and need some locations to stopover please ask and will try and find some good stopovers. This is a closed group to share useful information about Britstops in the UK. Personal recommendations & reviews for Campervan & Motorhome stopovers. Helping to create the freedom to go where you want, when you want. Transforming your free time into leisure time, weekends into holidays and holidays into adventures. Motorhomers need to know in advance where they can park if they want to visit somewhere. Please add any car parks that you find have no height restriction so that motorhomers know. Group to promote pubs where Motorhomes are welcome to stop overnight and pubs with traditional campsites attached. We have motorhomes that are self-sufficient, sites want to charge us for top-class facilities, Here are some alternate places to stop. Group to promote pubs where Motorhomes are welcome to stopover overnight and pubs with traditional campsites attached. Usual rules apply, no personal attacks, keep it polite etc. PS This group is about sharing so if you do not have a profile image or no facebook history, you probably will not be admitted. No business adverts unless you are offering a verifiable discount to the group members. Private MH related sales allowed. Motorhome Pub Stopovers are a great alternative to campsites for overnight motorhome parking. A group for people looking for pubs to stop overnight at free of charge in the UK! I set up this group after a number of other Caravaners expressed the need to have a designated group just for people who wish to find sites that are open all year. There are no restrictions all that is asked is that all sites shared on this group are open all year or a minimum of eleven months. Travelling with your furry friends can throw up challenges… where can we camp and walk easily? Which rest stops are ideal for dogs? Best and worst sites? This is not a group for selling as such, although relevant recommendations are welcome. If you feel you have something to sell that would benefit the group you are welcome to post on a Friday… Flog it Friday! Travelling, camping, fulltime RVing with your Pets. Dogs, cats, birds, rats, snakes, spiders, fish any are welcome. A Facebook page for lovers of RV/Camping (with dogs) to discuss common interest and ideas. Somewhere for all campers, be it a van, camper, tent, RV, caravans, to share their love of crafting. Or just somewhere to show off your crafty stuff and ask for help. Just a group of like-minded people looking for information and help to get the most from their pride and joy. English Motorhomers is a brand new group and intends to attract those motorhomers who are or intend to ‘wild camp’ on a regular basis, to swap tales, information advice and experience. Of course, all campers are welcome whether you have a tent, caravan or use sites. A fun group that doesn’t take motorhomes, or anything else very seriously. You must belong to at least one reputable motorhome/RV/campervan FB group to join. This group is for owners of Motorhomes registered after 2006 on Fiat, Peugeot, Citroen, Mercedes, Renault and Ford vehicles only. Please feel free to post photos of your motorhomes, sites and places that you have visited, to share experiences – good and bad – and to ask and give technical assistance. This group of motorhome enthusiasts who are members of www.motorhomefun.co.uk. Known as Funsters, they are famous for having fun whilst enjoying their motorhoming hobby. Welcome to the original Motorhome helpers Facebook group. 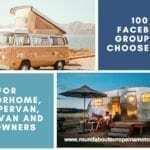 A great Motorhome big or small FB group for everyone. Whether you’re looking to buy or sell a Motorhome, RV, Campervan needs advice on any mechanical aspects or simply want to reach out to others. Meet Motorhome travellers for a chat, meet up for a cuppa. Share your travel experiences. That’s Motorhome Helpers, helping others. We hope you’ll join us, share your stories, humour, advice and respect each other’s opinions. Caravan Friends UK is a group for like-minded Caravan & Motorhome Owners, where friendly personal and caravan related discussion & advice is shared between members. Open to all that share the same passion for our homes on wheels. Motorhomes or Camper Vans, RV’s to Roma homes – All welcome. Feel free to post pictures and recommend sites, Help and Advice, Fun and Friendship. If you are an RV owner you’ve come to the right place with over 400 UK RV owners and if you’re a motorhome owner you have also come to the right place. Lots of information and help. You can post questions, give tips, share your trips, adventures and photos. Fun and laughs for the adventurous. All posts submitted on this group are the responsibility of the persons posting and do not necessarily reflect the views of the group, group administrators or group moderators. Discussion group for Scottish motorhomers and caravanners. 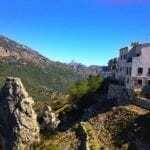 Reviews and ideas on places to stay. Here at Camping People, we are all about advice, fun and community. We support and love all kinds of camping, there is no right or wrong way to camp as far as we are concerned. This group is for anyone who loves to camp. The group is all about been a friendly group and offensive language, images or is judgmental of other campers and how they camp will not be tolerated, your post will be removed then you will be kicked out of our group. Camping related posts only, please. New Members: You need to answer the 3 questions you get asked when you “Request To Join”. Any profiles with false names or no information will be rejected. Looking for Motorhome & Camper-Van related technical advice? You’re in right place. Over 17,000 members & the best technical advice all in one place. Our Friendly members include qualified Mechanics / Gas Fitters / Electrical Engineers & TV Aerial & Satellite installation experts and enthusiastic knowledgeable motorhome owners. Admin Unis Carr..Chris Doe..Graham Ford …OBG is a fun group for lovers of mature motorhomes and young and young at heart MoHo’ers . No massive rules just mutual respect and common sense when commenting or posting. The “Friendly Group” is non-political, Brexit EU Deal or No Deal opinions will be deleted. Let’s keep it motorhoming. We are a close-knit of like-minded Autotrail Owners. Welcome to the Autotrail Motorhome Owners Group. Set up by Kevin Wade for the discussion and sharing of anything Autotrail, by owners, past owners, future owners, in fact, anyone with an interest in Autotrail. This group is for collating and sharing your experiences with your own auto trail to make them listen to quality issues! This group is for owners of Auto-Sleepers and for people that own other makes and have an interest in our group. A friendly group for Benimar Motorhome Owners primarily in the UK who want to exchange help and information with others. A group for owners of Chausson Motorhomes in the UK. A chance to ask for help and advice, share experiences of ownership and adventures. A group for Concorde MotorHome owners to share views, tips and information. This page is only for current members of the Coachman Owners Club. This group was created by the late Dave Kennedy so people can share their experiences and advice about Elddis motorhomes with each other. This is a group for owners of Frankia motorhomes and for those people thinking of buying one. It is a free discussion group to help each other in a friendly way and hopefully sort out any issues. By popular demand, this is just a fun spin-off group created for all those special people who have owned a Bailey Motorhome but have now progressed to furthering their adventures by owning a vehicle produced by another manufacturer. Motorhomers need to know in advance where they can park if they want to visit somewhere. Please add any car parks that you find that have no height restriction so that motorhomers know. We are a group of enthusiasts who share a love and passion for the older style Hymer motorhomes. Everyone who shares our interest is welcome to join no matter what year Hymer you currently own however, we limit discussion on the main fee to Hymer’s build before 1998. We welcome potential owners as well as current owners too as we are happy to share our great wealth of knowledge to help you make that all important purchase decision. After buying a new Rapido 855F A Class Motorhome in August 2016. I was looking for a Facebook group to share any information and help that may be available. 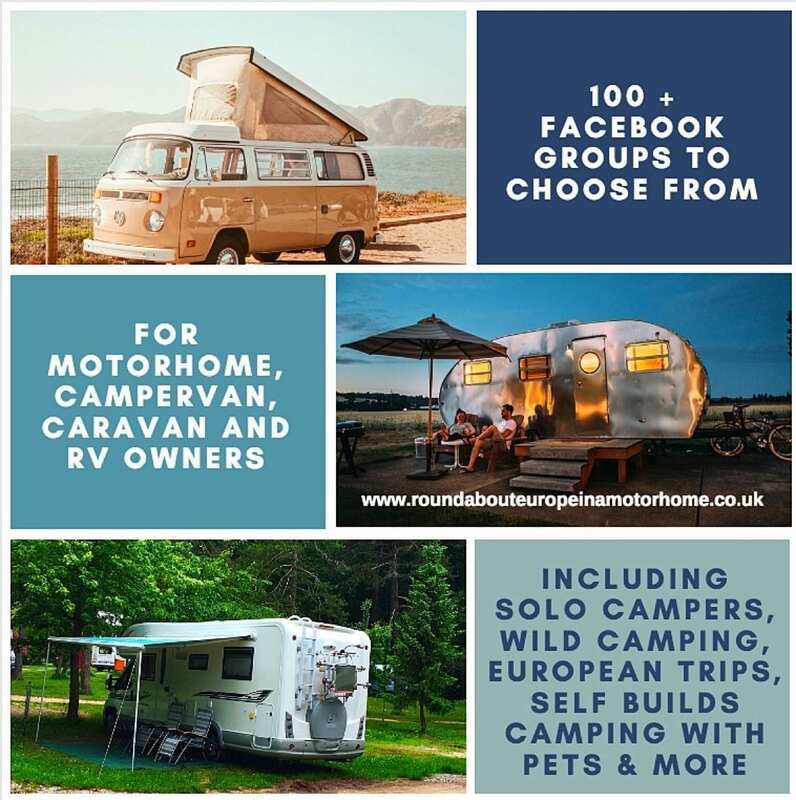 It seemed there was not a group available and so I created this Facebook Group for Rapido Motorhome Owners. We now have over 900 members sharing information. If you want to join us please send me a picture of your Rapido Motorhome or let me know what interests you about this Facebook group to enable the Admin team to move your request to join forward without one of these the request will be denied. Share ideas, pictures and stories about your Lunars. A group dedicated to Pilote motorhome owners and aspiring Pilote owners anywhere in the World. This is a positive friendly group for people to share experiences and ask for independent advice. This facebook page supports the Swift Motorhomes Owners Club for the owners of Ace, Autocruise, Bessacarr, Escape, Mondial and Swift Motorhomes. They also organize their own rallies. A friendly group for all Swift Rio owners to share advice and stories of adventures in their Rio motorhome. A friendly group of Swift Gazelle owners sharing hints, tips, advice and adventures relating to our motorhomes. You must own a Talisman to belong to this group. Desert Island Dubs was created to start where SK-VW’s stopped We aim to have more regular meets, more camps and more inter-group connections with more member input. The group name has connotations to our famous “Desert Island Discs” nights on campouts where we sit around the campfire and take music requests from campers for the resident DJ to play … Always some guilty pleasures in there for sure! A group set up for All VW Enthusiasts (Water & Air cooled) in the Chorley Area – with the aim to set up monthly meets. A friendly group for fellow owners of all VW’s around Manchester. This page has been created for VW camper van owners in Lancashire to share info on routes, trips, servicing, parts, repairs or any info you think may be useful to other owners in the area of Lancashire. A group for ladies who love and own VW Campers only. A place to post any events you plan going to so we all know what’s happening, be it VW shows, motoring events, motorbike rallies or just overnight camp outs. A group for ladies who are based in the North West, who love VW and having fun. Finding and sharing all things VW CamperVan from auction website and selected offers and promotions. A place where we can all discuss self-building our vans. Ask a question, hopefully, get great answers if not we figure it out together. I have started this group as I have a motorhome that needs some work doing to her. Over the last few months, I have had lots of offers to help restore her. This is something myself and Rob Davie has enjoyed doing. So decided to start a group and do weekends away where we can all help each other, and give advice while meeting new friends and enjoying the great outdoors. Please feel free to post your motorhome, campervan and caravan related items for sale. Members can post Motorhomes and Campervans for Sale or wanted plus accessories for sale and advice on selling or buying. Our group is for anyone who is looking to buy or sell a motorhome in the UK and is free to join and post. Classics or modern motorhomes all welcome. Unlike other classifieds listing on the internet, finance can be offered on all motorhomes over £5000 at amazing rates with our finance partners, Pegasus Finance. Looking for a Motorhome or Campervan? Got one to sell? We bring you the best examples we find for sale on eBay UK. 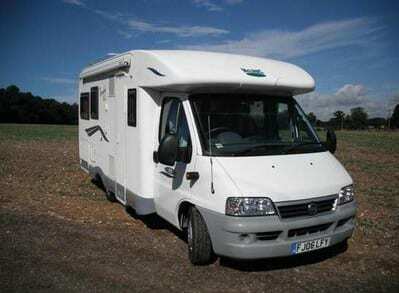 Trades, buy and sell campervans equipment and accessories including associated outdoors items. Self-build bits and bobs. Batteries, Inverters, Split Chargers, Wiring Looms, Heaters, Roof Vents and Skylights, Bedding and Associated, Kitchens and Cupboards, Pumps and Water Storage. This page has been created for caravanners 18 and over (but is a family orientated group) to share experiences good and bad and to give and receive advice and we hope you will make a lot of friends along the way. This website has been set up for all our Crazy Caravanners out there. So we as a Caravanning community can share our knowledge and problem solving since we have been Caravanning. Caravan, Motorhome & Camping discussion for first timers or old timers! Whilst we like a bit of fun, the group also has a great wealth of knowledge (I started caravanning at 6 months old in 1973!!) and we will always try to answer any questions and advise the best we can. We would like to wish everyone a warm welcome To The Caravan & Camping Madhouse, We Hope all of us, can share our problem solving and fun we have had while caravanning & Camping. I hope all of us become one big happy caravanning & camping family. We aim to be a group where like-minded caravaners can ask questions, offer advice, recommend touring sites and take part in some good-natured chats and banter. We are a friendly group who like to share our love of camping whether in a caravan, tent or motorhome. We are non-judgmental and welcome members from all backgrounds and experience levels whether you currently tow your own caravan or not. If you’re looking for recommendations, whether you want certified locations or commercial sites we have no bias. A group for friendly caravan chatter, sharing recommendations and helping each other with caravan related queries. This group is set up for the mutual interest of the owners’, previous owners and friends of owners’ of Coachman Caravans. Want to have some fun come and join us, everyone welcome to the wobbly box caravan club. Share your wobble box pictures enjoy the banter and have some fun, please note only caravan and camping related posts to be posted on this group. A group for families to share tips advice and holiday recommendations. This is a group for people who have lost or given up their homes to live in a Caravan/ Motorhome on a permanent basis…. Please feel free to post pictures & any tips or places you have stayed & enjoy.